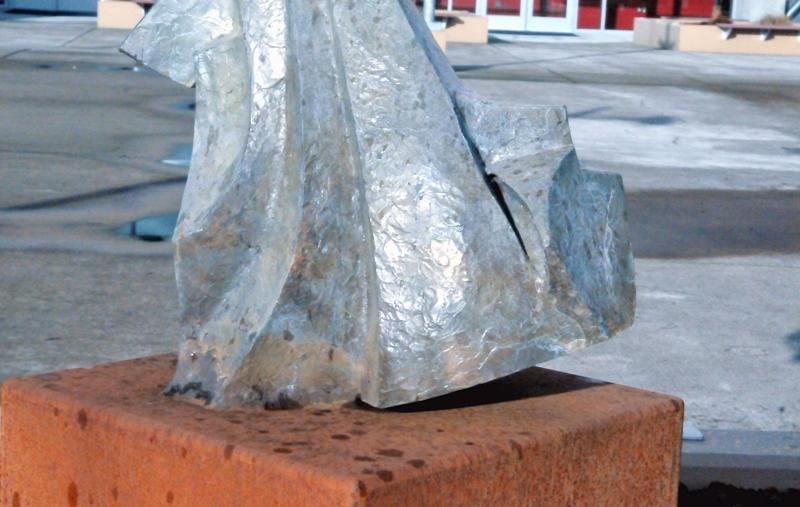 The sculpture named "Skull" resembled, from one angle, the look of a seated dog. 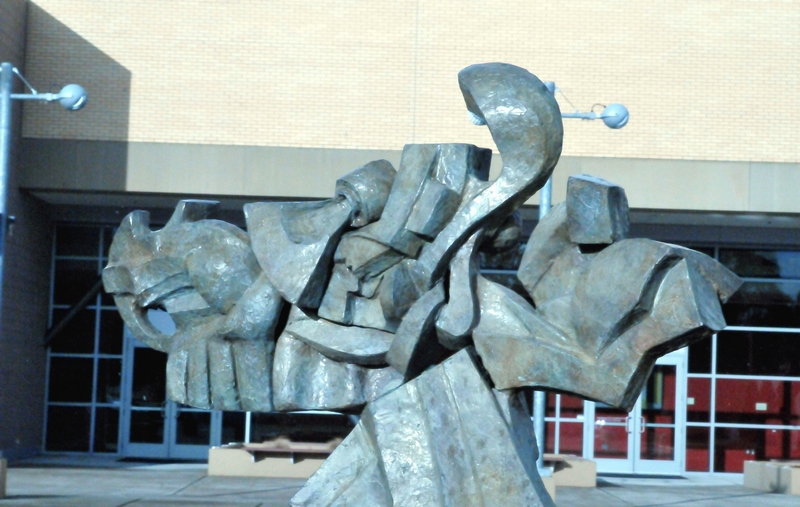 A view of the sculpture face-on with the street behind. 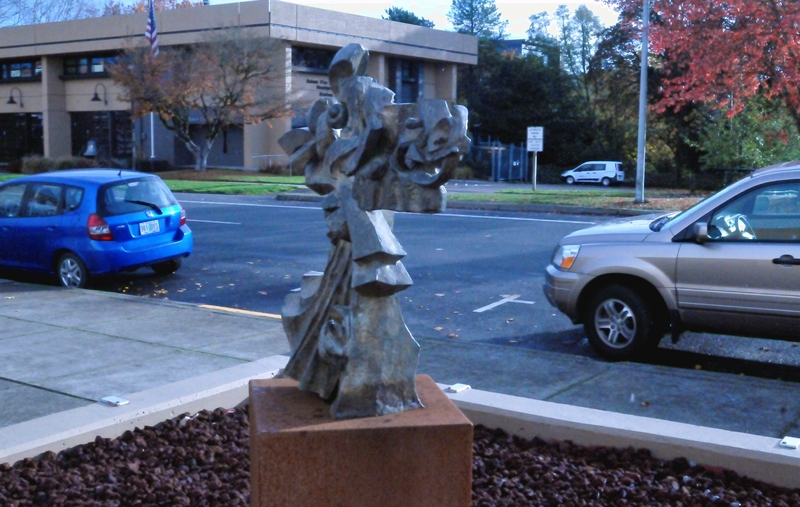 A side view of the "Skull" sculpture with the Salem Convention Center behind it. 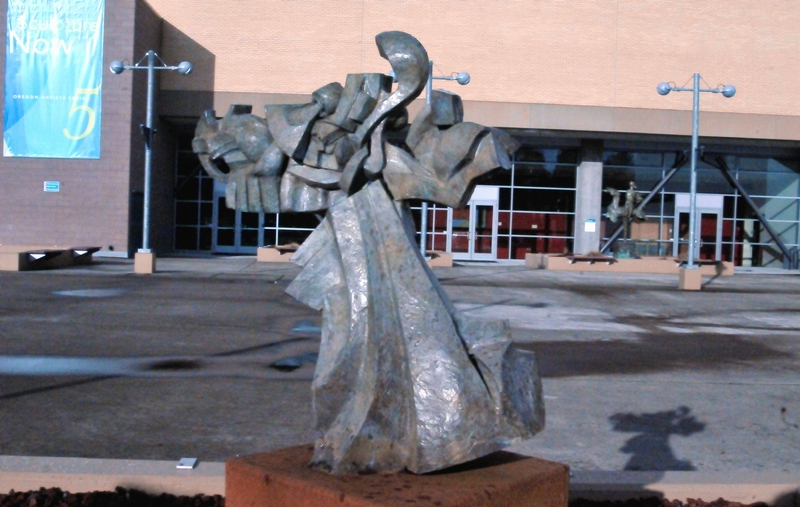 A close shot of the head of the sculpture with the Salem Convention Center behind it. 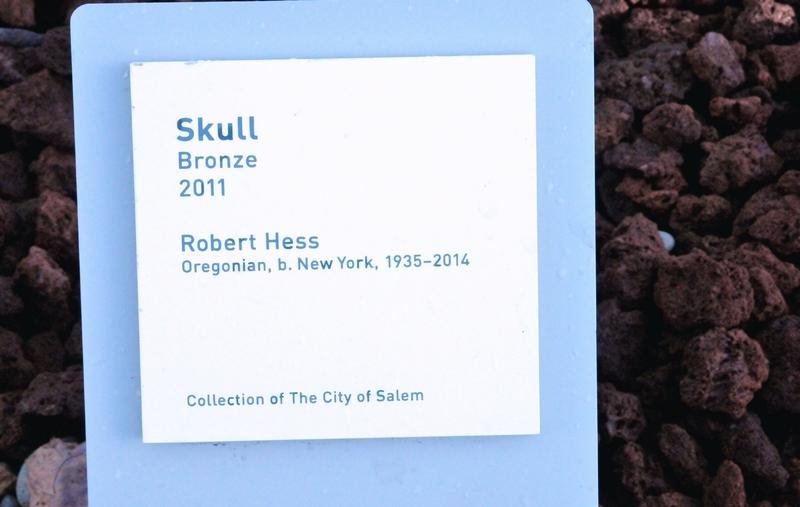 The body of the bronze sculpture called "Skull" was attached to a rusted steel base. 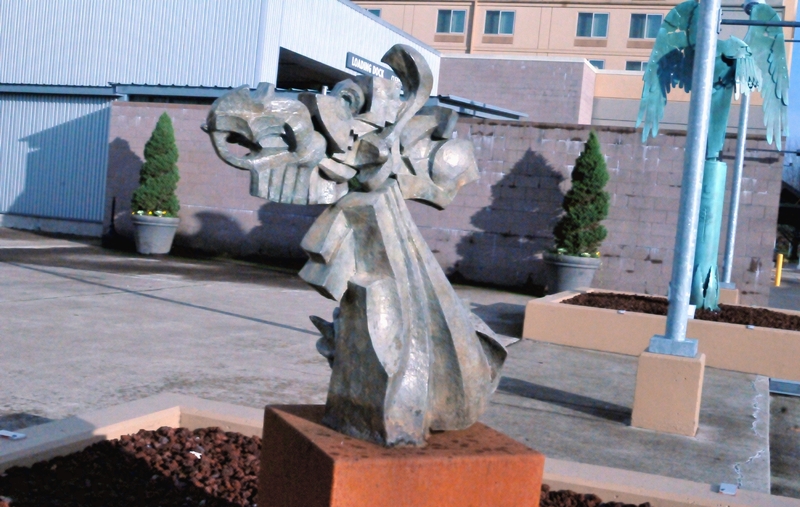 The spots on the base were from a light rain that day.